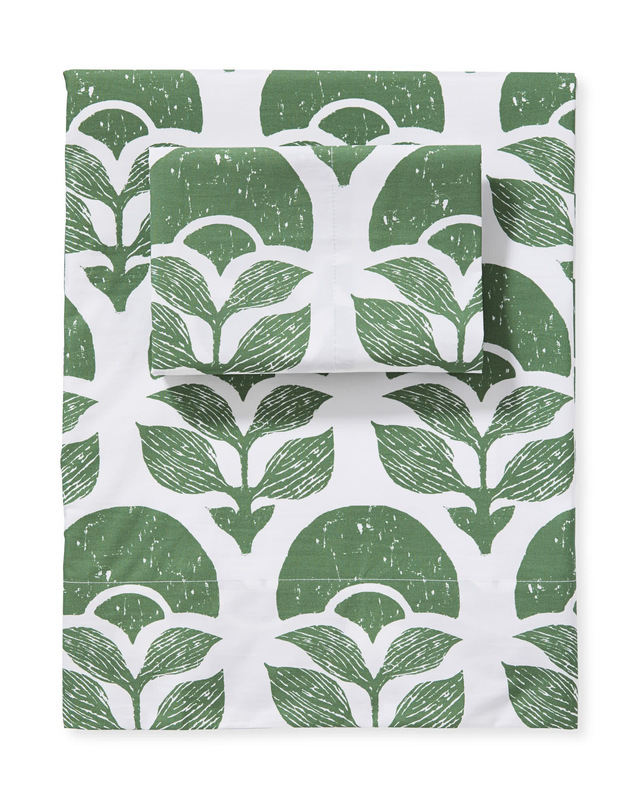 Larkspur Sheet SetLarkspur Sheet Set, Moss alt="Larkspur Sheet Set, Moss"
Print We love the perfect imperfections of traditional block prints and how the colors register somewhat unevenly for a soft, romantic look. Determined to create a great new print, our design team experimented with a modern rendition of a traditional lotus flower, playing with different scales, imprints, and arrangements ’til we found the effect we were after. 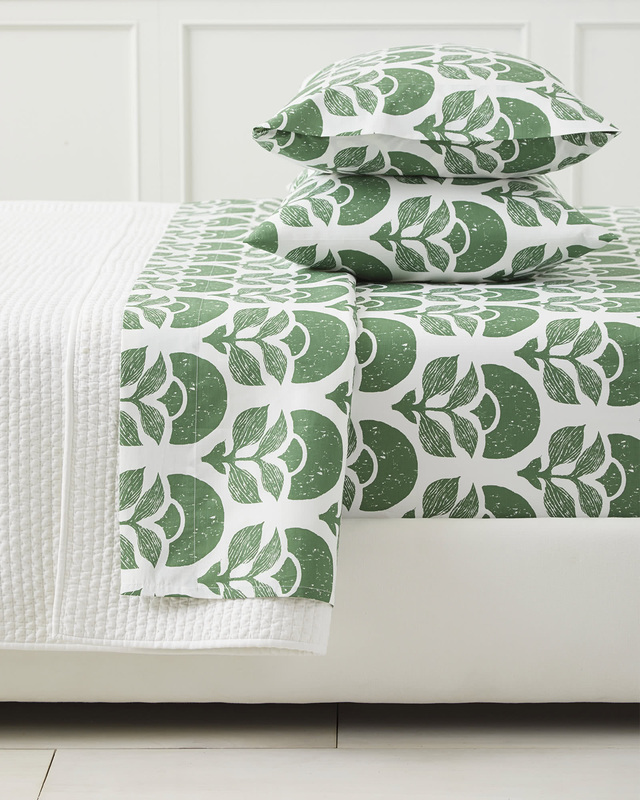 Woven from printed 100% cotton percale.